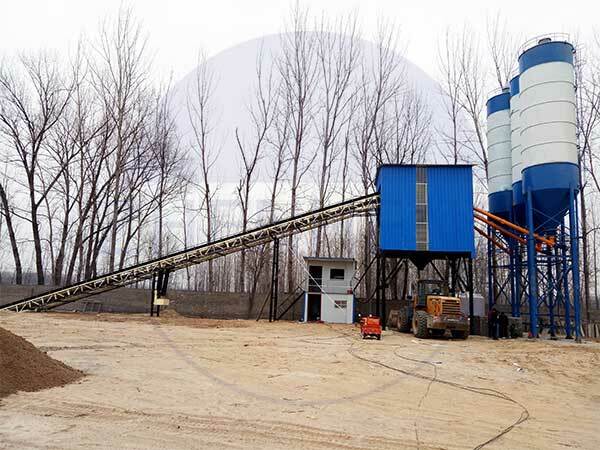 The amount and duration of the task of concrete construction; using the two parameters to choose multiple specifications of the mixing station. A general task of concrete is M; concrete pouring for T days; daily working hours for the H; utilization coefficient is K, should be used in mixing station specifications X=M/T*H*K, wherein K is 0.7-0.9. in the selection in consideration of the finished product concrete transportation conditions. Such as: direct pumping or vehicle transport. The transport vehicle is an important basis for the volume mixing station model determine. The operation of the quality of personnel; in general, small mixing station has the advantages of simple structure, the control system is also relatively simple. The requirements for operation and maintenance personnel is low. And more complex structure, high degree of automation, so higher requirements for operators. So when you buy the mixing station in addition to consider several factors also, should consider the cost factor. Preparation of choice; in general, manufacturers have mature products such as preparation, specifications, quantity, variety and so on. You can put your special requirements in product order. We will try our best to meet your requirements in the purchase of products. But avoid Tandaqiuquan, this will cause economic unnecessary waste. In addition to the purchase of products in addition to refer to different manufacturers price, should also pay particular attention to preparation of list of different manufacturers. In addition to the above specifications, variety and quantity, the most important is accessory manufacturer. In more than one by one, you can choose the most suitable models. You don't pursue the choice models best, but should seek the most appropriate and meet your needs, because this choice is the most economical and effective.